It’s funny, I suppose. When I started doing this blog some six (!) years ago, I did it primarily because I love Motown so much. And I love Motown so much, in large part, because of this amazing mid-Sixties Golden Age run of top singles we’re now riding here. Back in the early days, when I was slogging my way through the often interesting, occasionally regrettable early years of Motown, when my days were filled with writing about records of wildly variable quality by people I often knew little about, one of the things that kept my spirits up while having to review (for instance) a run of eight jazz records in a row, followed by an awful, feeble comedy skit, was the thought of getting here, to the top of the mountain. This, then, is my reward, as it were. But it turns out that Motown at the start of 1966 was still a bewildering sort of place, just in a different way. Where once upon a time spotting the gold in the pan was easy, financial security and ever-higher artistic benchmarks turned Motown into a fiercely competitive affair, with artists, writers, musicians, producers and even songs all jostling each other and jockeying for position to get some attention, while merely standing out from the crowd was harder than ever. And while that makes listening to Motown’s 45s of the time a heavenly (if highly-concentrated) listening experience bordering on sheer joy, it brings new headaches for your humble correspondent here. Enduring classic record follows enduring classic record, with no let-up. Big green numbers pile on top of each other at the end of each review, as the Master Index drowns in a tidal wave of top marks, and still Motown doesn’t rest, still the hits keep on coming. How are they doing this? And how am I going to write about it? Not that I’m complaining, you understand. The thrill of cueing up each successive brilliant record isn’t diminshed by having just heard a bunch of other brilliant records already, because this is Motown at its best and it’s magnificent. The only sadness, if you can even call it that, is knowing I can’t linger as long as I’d like, that soon enough we’ll have to move on, and before too long we’ll be gently, almost imperceptibly at first, rolling (ever-so-slowly) downhill back off the plateau, never quite to return to these mid-Sixties heights again. Oh, I’ve got an advantage over listeners in 1966, of course, in that I know what’s coming, I know there are plenty more masterpieces after this glorious golden era (and indeed, this decade) is done. But at the time, it must have been… well, like I said, bewildering. And look, now here are the Isley Brothers, making their Motown début, with a song written by Motown’s most exciting and bankable hitmakers, an absolute can’t-miss matchup. How are they DOING this? Apparently, so we’re told, the Isley Brothers ultimately came to regret their decision to sign for Motown. True enough, their Motown phase didn’t last very long, and in my own limited experience, they’re better known – as far as that mythical specimen, the non-Motown-obsessed “general public” goes – for their work both before and after their time with the label than anything they did in Detroit. But there was a kind of inevitability about the Isleys pitching up at Hitsville. The first truly great act to emerge from doo-wop’s carcass (as opposed to the still-vibrant blues and jazz scenes) by peddling a successful blend of R&B, rock and pop, a blend that played as well with white audiences as black ones – and, critically, vice versa. Musically, they were headed in the same direction as the Motown juggernaut, and so it makes perfect sense they’d eventually hitch a lift once it became clear who was getting there quicker. Geographically, too, this is something approaching a homecoming; the Isleys hailed from Cincinnati, and so returning to the Midwest from New York City (where Cincinnati and Detroit were still best known as far-off baseball teams) made a kind of sense. And yet… it was never really like that for the Isley Brothers at Motown. You’d think, with the benefit of hindsight, that Motown would have been thrilled to sign a “name” act, except that by 1966 Motown had no need of external name acts, and anyway the Isleys were not yet as famous as their early records since became. Genuine all-time greats, they’d actually struggled for commercial traction, their CV thus far showing a smattering of R&B chart hits over an eight-year period marked by a series of failed short-term relationships with various labels (some, like RCA and Atlantic, rather bigger than Motown, others clearly a case of any port in a storm, including a tentative release on their own T-Neck imprint); this spell yielded precisely one Top 40 single, their legendary 1962 rendition of Twist And Shout, by now itself getting rather long in the tooth as far as meal tickets go. So Motown securing the brothers’ signature wasn’t quite the major coup it first appears to modern eyes; rather, this was another feather in Berry Gordy’s cap for a different reason. His former underdog of a little indie label was now bursting with money, sitting pretty in a position not only to throw the Isleys a bone, but to know full well that that was the situation, that Motown held the cards in this relationship. The Isley Brothers came to Motown not as guaranteed superstars, but as second-stringers, and they weren’t parachuted right to the top of the release schedules, having to start somewhere near the bottom. It’s inescapable: Motown were bigger than the Isley Brothers. Much fun has been had at Motown’s expense concerning the cheesy artwork for their début Motown LP (named for this song, their début Motown 45, which ended up being their biggest hit for Motown altogether; as with Brenda Holloway before them, the Isley Brothers were never able to build on or even emulate the commercial form they hit first time out). Particular attention is paid to the racial airbrushing, taken as either a sign of the times or an example of Motown’s timidity: the African-American Isleys replaced with a generically unthreatening shot of a preppy young white couple playing on the beach, supposedly so as not to scare off white audiences. If that was the reason, it was surely archaic by now; the white living rooms of America (or, at least, enough of its white teen bedrooms) had already shown plenty of appetite for Motown’s other black faces in the preceding two years, enough to make Motown the commercial envy of any of its peers. The battle wasn’t won, of course, but by 1966, you’d have thought Motown had made enough gains not to have to pander to the prejudiced to chase a few extra sales, right? Right? Plus, the Isley Brothers weren’t some new unknown act; they were a name, if not necessarily a household one then certainly one known to music fans, and they were known to be black, and known to be partial to rock and roll. If spooking the racist horses was the fear, that beach pic smacks of shutting the stable door after they’d bolted. But that’s kind of missing the point. The great Holland-Dozier-Holland writer/producer team, Motown’s most bankable tunesmiths, this time paired unusually with crack up-and-coming writer Sylvia Moy, have turned in a piece of Motown magic. 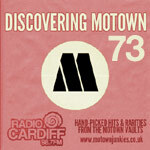 I’ve talked before about the mythical Quality of Motown, the secret essence that puts a flavour of the label into the grooves of its best cuts, making them hook together in a way that seems somehow effortless. Perhaps more than any single we’ve seen before, This Old Heart Of Mine is positively steeped in it, the song so easy and natural as to seem like something that had always existed in the air, HDH and the Isleys merely the conduits for finally translating it, getting that message down on vinyl, making it corporeal, trapping that magic in those very grooves. It marks a couple of developments. Firstly, it’s another step up in the quality of Motown’s songwriting and production output that something like this can sound so very unforced, and it acts as a kind of summation of just where the label was at in this brave new year: the Motown Sound gets more and more definable with each of those steps up, and just as each would-be rival knockoff finally clambers up to the ledge, they find Motown have already scaled on up to the next one. Secondly, the Isleys’ arrival at Motown was of course a new beginning for them, both sides full of hopes. Their début sees them drafted right into Four Tops territory, the HDH contribution turned up to 11 and making the brothers sound like a male Supremes, though perhaps not so much like the Isley Brothers of old; Brand Isley is subsumed to Brand Motown, and it’s glorious. The latter goes some way to explaining your canoodling Caucasians there. The value of the Isley Brothers’ history to Motown’s marketing is in their name recognition, and really it’s taken no further. Which isn’t to say anyone could have made this record, or that their contribution was negligible, but rather that these are a new Isley Brothers, falling into line as part of a whole corps of standard-bearers for the new Motown, and the resulting single is perhaps the most “accessible” thing they’ve ever recorded, catchy as all get-out, aimed squarely at white radio without being too square. The marketing people wouldn’t have wanted to do anything to dent its chances. Hilarious (and depressing) though that cover is in hindsight, the story behind it was a good album spearheaded by a great record, and both of them perfectly summing up the philosophy of Motown in 1966, the fusion of R&B and pop to create something that appeals strongly to both camps. So far, nowhere have we seen that done better than it is here. What I like best about this, I think, is that – as with all my favourite Isley Brothers cuts – there’s still a very faint trace of the scuzz and grime of the chitlin-circuit Isleys here amid the soaring beauty. It’s as though it’s in their DNA, something buried deep, recalling their sound from the turn of the decade; something that all the perfection of the HDH production (and the implied heavy scrubbing that came with it!) can’t completely efface. Of course, there’d be no point in Motown signing the Isley Brothers and then airbrushing away everything that actually made them the Isley Brothers, and HDH surely knew it. So, while the links between this and, say, Respectable are pretty tenuous, there’s still an old-school Isley residue here, a thread dangling just out of reach, their past a tangible presence providing a gossamer-thin safety net, all to stop this becoming a clichéd pop number which might have had all the lasting power of a soap bubble. Instead, this is one of my fifty favourite Motown singles, and I know a lot of people out there agree. Like Frank Wilson’s Do I Love You (Indeed I Do), this is a record that benefits from a singer holding on by his fingernails as the band track and that unstoppable melody take us on a wild rollercoaster ride. Unlike that track, This Old Heart Of Mine isn’t making up for the deficiencies of its lead vocalist by dragging him up and along; Ronald Isley has vocal chops Frank Wilson could only dream of, and if he’s not exactly on his very best form here, it ends up being to the song’s credit nonetheless. Actually, this bears a lot of comparison with Do I Love You (Indeed I Do), and I like it for many of the same reasons; it’s got that quality of really great Motown where it’s both hot and sweet all at once, simultaneously pummelling and heart-soaringly lovely, it’s endlessly whistleable, it’s packed with little moments that are ever-so-slightly out of kilter just to make sure the whole thing sticks in your mind. So, lines stack up thick and fast, almost on top of each other, O’Kelly and Rudolph’s backing vocals saw in and out with great toothy-grinned chunks of chanted harmony just landing in the listener’s range, and the drums and the strings pile up and get loud and messy but never dirty… and then the sun comes out from behind the clouds and everything makes sense, as the chorus just lifts you to heaven. See, it’s not a happy lyric – this is a song about the strange quality of love which keeps you coming back for more even as your heart inevitably gets stomped on for the thousandth time. “Maybe it’s my mistake, to show this love I feel inside”, muses Ronald, and the jaunty strings somehow add to the tears it feels he’s holding back. “I’m yours whenever you want me”, he pleads, as the lyrics take a turn into self-debasing Temptations territory; the dark side of obsessive love, maybe, and the sort of thing that takes on a different tone when sung by a man than by a woman (as, indeed, we’ll see later on in the course of this blog). Cue perhaps the best-timed pause in Motown history. What I love most about this song isn’t that it feels true (albeit the heartfelt vocal delivery is fantastic, conveying the sense of just what it’s like to be so very much in love, staying just the right side of being out of control as you find yourself skipping down the street or crying into your pillow); it’s that it causes the same mixture of consternation and joy that it’s trying to convey. That little pause for a breath and a string sting before Ronald sings “…I love you!” is just inspired, divine, reaching out from the speakers and grabbing you. The whole thing grabs you. This is the sound of classic Motown, writ large. So, I’ve said before that I came late to Motown, and when I started listening to these 45s, I had no idea which of them were the big hits and which of them were the flops. I’d assumed, just from listening to this, that it was Number One for a month; it’s a rollercoaster ride of a song (I know that’s a cliché, but this one actually feels like being on a rollercoaster!) sung by a star name act, written and produced by Motown’s A-list team, sweetly romantic but also dynamic and tough. How could it miss? But miss, it did. Relatively speaking, anyway; although it brought the Isleys back to the Top 20 (and the R&B Top Ten) for the first time in four years, that feels like an underachievement for a song and a record as strong as this. Plus, as we’ve already noted, this was the biggest hit they’d ever enjoy during their time at Motown; it was all downhill commercially from here. No use in asking what might have happened had this racked up a few more sales, become a slightly bigger hit still, and potentially changed the Motown hitmaker landscape; this is not only the best-selling Isleys Motown single, for my money it’s also the best Isleys Motown single full stop. The brothers would end up walking away in 1969 to resurrect their own T-Neck label, after a relationship that produced some great records but perhaps never quite lived up to the initial promise of this first salvo. Still, that’s a heck of a standard to live up to, isn’t it? This is one of the great Motown singles; “anthemic” is another one of those words that gets bandied about, but this really does feel like the Isleys’ Motown anthem. It should be better known, but then that would still be true if this had sold six million copies; it’s a great, great record, and a really nice way to start up this blog again after a super-long hiatus. Welcome back, readers; welcome to Motown, Isleys; welcome to 1966, listeners. Enjoy! Welcome Back! Love the review of “This Old Heart Of Mine” and looking forward to more (especially since you’re now reviewing singles released during Motown’s glorious peak). Glad you’re back and I hope things are a little more settled for you! Never thought about the pause in such detail before so you’ve opened up another aspect for me. I’m trying not to check out the singles listings as I have a fair idea of what’s coming up but not necessarily in order so it keeps the reviews as a little bit of a surprise but this has two memories for me, the first real girlfriend and my first ‘disco’, the late 60’s ones with fluorescence that showed up all the dandruff but made your teeth look extra white, and a later MFP label release of a series of their hits/non-hits that I bought as it had Tell Me It’s Just A Rumour they were playing at the Torch. It had the ‘B’ side on as well which I find a wonderful wistful piece. So I’ll stop there as things yet to be reviewed aren’t mentioned until the reviews. Every day when I wake up I check George R. R. Martin’s site to see if The Winds of Winter is out and then I come here and check to see if we’re still on #688. I wonder which of you will come through first! One of the advantages of age is that eventually my first pass of the 688 reviews will start to fade and I’ll be able to re-read them as if new. What I’m most curious about is whether the multi-year pause here has to do with a perception on your part that the most golden part of the golden age of Motown has been covered?? I’m less familiar with the next few years – one of the reasons I’m so anxious for the continuation of your survey. In the meantime, I’ve been back on The Beatles. Bacharach, Stax, Brian Wilson et al and finding all sorts of interesting Motown connections based on what I learned on my first pass of this site. Hope you come back soon; I Love ‘Motown Junkies’! Here’s my new idea for a writers’ block cure: let George R. R. Martin write about Motown single #689, and you can finish The Winds of Winter. If I don’t get to read one or the other before 2017, as Marvin would say “I’m just about to loo-oo-oose my mind”. The B-side! 🙂 September is my relaunch target. It’s almost December now, and the new target-date for relaunch is…? Great to see you back in action, AND with my favourite all-time track. Keep up the sterling work! So glad to have you up and running once again. We missed you! Couldn’t agree with you more; this latest recording certainly deserves the rating you gave it! I am a little pissed with myself for letting myself miss your blog as much as I did. Now…all feels well with the world again. I can’t imagine you would really understand what your blog means to so many of us. Thanks again for your commitment! I am so glad you have such an appreciation for This Old Heart of Mine. Among all the great Motown Singles this one stands as one of the greatest among the greats. I think everything about it is a revelation. Welcome back, sir! Welcome back, Steve. A pleasure to read, as always. You mentioned this in your review of “Back in My Arms Again,” but these two songs bear a striking resemblance to each other. I much prefer This Old Heart to the Supremes song, but it is another keen example of how HDH and Motown would appropriate their own material. With respect to Motown signing The Isleys, Gladys Knight and The Pips, Chuck Jackson and other contemporary vocalists during that period. Some have suggested Berry Gordy’s motivation may have been in part predatory, i.e. keep them away from other record companies while reducing competition for Motown’s own acts. Let’s not forget about The Andantes’ contribution. Their background vocals provide a fuller sound to the final mix. The album cover is typical Motown of the time, unimaginative. As for the racial aspect. I don’t recall it being a big deal at the time. Furthermore, Berry Gordy’s primary objective was still sales of singles, so let’s keep the album in perspective. As for geography, Detroit was before, during and after Motown, about automobiles. No automobiles no Motown. “This Old Heart of Mine” has always been one of my favourite songs, and is certainly one of the strongest 10s. This is one of the times I agree strongly with Stephane’s taste. Hi Robb & everyone! Yes, great, great record. This might be, to my ears, one of the records that really defines the “Motown sound”. Qustion — On their A GO GO album, the Supremes did a version of this song. I quite like their version by the way, though the Isleys still own the song. Onto my question — I have heard that the Supremes actually recorded the song first. Does anyone know if this is true or not? Was just curious. Robb, Happy Canada Independence Day (a day early!) & Happy 4th of July to those in the US of A! What I read is that the song was intended for the Supremes but given to the Isleys instead. Yes, listen to their version and you’ll understand why the Isley’s got the single release. Similar to What Becomes of the Broken Hearted- another song cued up for the Supremes but quality control voted for Jimmy Ruffin’s version. Two perfect examples of songs totally unsuited to Diana Ross’s voice- exposing her limitations. Good points David. I do think, however, that The Supremes do a stand-up version of What Becomes of the Broken Hearted. I love the back-up singing. The Jimmy Ruffin version would be in my top 5 Motown favorites; to my ears, it is pure perfection. I was pleased to hear the Jimmy Ruffin extended version on the Motown Box Set, which includes the spoken intro that is on the Supremes’ version. Good to see you back. And you return with a great essay! Interestingly, I knew the Isley Bros from Shout (which came out when I was a mere tadpole but my older brother had the record) and Twist And Shout (heard it a lot on the radio). But I was surprised when I heard this track on the radio. I thought it was the 4 Tops and was surprised it was the Isleys. I liked those older records so I figured they were updating their sound, which was cool. Imagine my surprise when I went to the store to pick it up and it was on Tamla! This was an Isley Bros record for me, not my older brother. The Isleys might be one of the most prescient groups for both anticipating trends and picking up on the spirit of the times. And they did it all without sounding like they were trend-hopping. And it really paid off in longevity. The first time I heard the Isley Bros was when they released their version of “Take Me In Your Arms”. I remember loving that record but didn’t buy a copy till much later. The next time I heard the Isleys they were doing “Its Your Thing”. A great record without a doubt, but there’s slightly too much emphasis on the strings for my personal taste, so I’ll dock it a point and settle for a 9/10. 144man, I smiled when I read your take on the strings taking something away from the song. During the timeframe of the song being out, As an 11 year old, I would have to ring the front doorbell to gain entry into the house after school. Guess what refrain I used to announce my arrival. Sadly, in todays world of both parents in the house working, or only one parent in the house, this would not happen. On a score of 1-10, a 10 does not quite do the song justice. Maybe 10+ would be the way to go. It’s kind of amazing how a blog can bring sunshine on a cloudy day. Welcome Back! Hello fellow Motown Junkies! It’s strange that the string refrain, which I feel overshadows the rest of the song, is absent from the Tammi Terrell version. It’s such a strong melody that if lyrics had been written to it, it could have been used as the basis for another song. It’s good and great to see you back. I’ve checked the site over the past weeks and came to the conclusion that maybe the task was too ambitious and you had bowed out. So, what do you do, come back with a 10!! It would obviously be very difficult to challenge your award and in this year of 2015 it would surely be equally as difficult to locate any lover of popular music unaware of this masterpiece. I can only speak from a UK perspective but upon its initial release in the summer of 1966 this was acknowledged by those of us that loved the music to be something extra special. By that time the release numbers had already become mesmerising and the TMG 550’s were ultimately to become what could now arguably be considered the best ten consecutive releases ever on the label. This stands squarely in the middle at TMG 555 and how it wasn’t a massive hit over here at the time completely perplexed us. Just ONE week in the UK top 50, but those at EMI must have realised something because as I recall it was never deleted and for a Tamla Motown release that makes it almost unique. (TMG 571??) It was of course re-promoted in 1968 to become a massive chart success. For us collectors/trainspotters it provided us with one of only two releases that ever appeared with the same release number on a Red & White and Green & White demo record. As an aside I would recommend a viewing of the moment this song featured in the TV movie ‘Coast to Coast’ with Lenny Henry and John Shea. The whole soundtrack is of course Motown based with the pair of them playing soul dj’s. John Shea plays a US airmen AWOL and ends up to his horror in a US airbase. Knowing he is in danger he ends up sitting alone at a table when this comes out of the speakers. From depression his spirits are revived and that’s exactly what this uplifting piece of music can achieve. It’s familiarity today might make some us have doubts, but I’m sure for many this could justifiably be considered the pinnacle of the Motown sound. Tammi Terrell did a version of this song as well. Not quite up to the Isleys’ standards but not bad. Her version was much different than the Isleys & the Supremes versions. The internet is definitely a happier and (dare I say it) more soulful place when you’re around! You were sorely missed, but you’ve come back at the very top of your game. Bravo, thank you, welcome back!! ‘Twist and Shout’ was one of the earliest successful assaults on my hitherto impregnable classical fortress, which (as I keep saying) was finally irretrievably and totally demolished by ‘Heat Wave’ – and I still prefer the Isleys’ version to the Beatles’ admittedly splendid cover. The Isleys somehow achieved an optimum combination of raw raucous soul and astonishing, seductive vocal sheen – I saw them perform at the wonderful Esquire Show Bar in Montreal – they were still with Motown, so it must have been in 1969 – the set included an absolutely exquisite version of ‘Ooo Baby Baby’. I’m nearly 12 when this came out, and I remember vividly the way it (and ‘My Baby Loves Me’) seemed to kick the door of 1966 open beautifully. I scored a beautiful copy of the album in mono years ago, still have it, and yes that cover was so silly. At least the group gets to be seen on the back. A fantastic record, a fantastic song, and I love The Supremes version too. Of all the unnecessary remakes that larded Supremes A Go-Go, this was a sterling good exception, and Motown seemed to know it too, hammocking the song between “Itching” and “You Can’t Hurry Love.” Even Rod Stewart’s revival of it is okay too. But the Isley version is the one that deserved the single release. I enjoyed your latest blog entry. I’ve always loved this song. One of my favorites. I remember the first time I heard this on the radio in March 1966. Within first 8 seconds that opening drum roll and instantly memorable instrumental riff grabbed my attention and i knew this was going to be something special. At the time I wasn’t aware that the Isleys had joined Motown, I thought they were still with Atlantic. News about Motown in the NME and Melody Maker music papers, which I used to buy at the time, was pretty sparse. It certainly didn’t sound like an Atlantic production, but I was sure it couldn’t be Motown because I didn’t think the Isleys were with Motown. Anyway, I knew I wanted to buy it. The very next week I saw it in an EMI new release advert which confirmed it was Motown. Not much more can be said about this masterpiece, it has everything I think is great in a recording. Instantly memorable and tuneful melody, wonderful production and arrangement, particularly the strings and better than usual Eddie Holland Lyrics. I have noticed that sometimes the composition is also credited to Sylvia Moy, but not on the Isley’s original version. Tammi Terrell’s version lists Sylvia Moy in addtion to HDH. The lyrics on Tammi’s version sound pretty much the same to this version except for the additional intro line ‘I love you darling, I need you baby’ so is this the line that Sylvia Moy wrote? This song IS one of the Motown greats. Putting the strings aside and focusing on the piano – it’s a song that holds together without anything else – just piano and melody. It works. Once you get your fingers wrapped around it – it’s super fun to modulate the riff up and up. Can you play it in Eb and then to E?? Or how ‘bout as I often do: jump from Eb to B. Those black keys are killer. Over and over and over again. It just rolls. This is a Motown record not only to revel in the joy of everything about it but a SONG to learn from. It has legs. One of those sad, sad melodies that is rushed along at break neck tempo yet works any old way you use it. Up and down it goes. It’s serpentine. And as Mr. Nixon points out: it’s the little spaces, the little pauses, the subtle, subtle embellishment –while of course, not straying at all from that glorious Motown sound. And then there are the spaces that AREN’T vocalized. (I’m thinking: “if you leave me a hundred times, A hundred times I’ll take you back – RIGHT HERE! — Up go the piano and strings to slapping that melody shut – “I’m yours” (and then we roll again, sucking you right back in – “I’m not too proud to shout it, I’ll tell the world about it”.) Whew!! Breath taking! “Once he reached for something golden hanging from a tree” – and– just like this Isley song – King slaps the melody shut — “And his hand came down – EMPT-TEE” . In both cases: it’s brilliant melody writing. If you loved the sound, which I do and others here obviously, how could you not be hooked? Then, now. Anytime. It turns your head. It stops you up short. You LISTEN. We can talk about “hooks” all day long; what makes a good one, when to use one, the absence of them when desperately needed, blah blah.. This Old Heart is full of ‘em, but holds a special magic in that it doesn’t sound like it is trying to be hooky. What a fabulous song this is! Hi Mike – that was a cool comparison with Carole King. Interestingly, the Isleys were huge Carol KIng fans – On their BROTHER BROTHER BROTHER album they did 3 C King tunes (“Its Too Late”; “Sweet Seasons” “Brother Brother”) While we are on the subject of Carole King, I believe that her “Brother Brother” song was a response to Marvin Gaye’s “What’s Going On”. Best to you friend! Yes yes. Whether or not Carole King’s song “Brother Brother” was in response to Marvin Gaye or whether Carole was being the great musical “sponge” that she so often is, it, too, is a killer song. And don’tcha know even Valerie Simpson must have been green with envy after hearing Carole King’s acoustic piano work on her “MUSIC” version of “Brother Brother”. Whew! With that sax blowing on top of it! Motown through and through. I’ve always had a little fantasy that Goffin and King left Kirchner/Screen Gems and went to work for Jobete/Gordy. Let’s face it – many G/K pop soul songs would have worked wonders under the Motown production style. Hope you’ve heard Esther Phillips version of “Brother, Brother” too. Hey– who else has recorded “This Old Heart Of Mine”? Others who recorded “This Old Heart of Mine” = Tammi Terrell, D Ross/Supremes ; Rod Stewart (solo); Rod Steward & Ronald Isley. I cannot stand Rod’s versions!!! I may have to go back now & explore Carole King’s music a bit deeper. She sounded nice on the radio but I never really paid much attention. It seemed that in Junior High School, every girl I knew had TAPESTRY in her collection. TAPESTRY is nice but just a tad overrated (IMHO!). Yes, very, very nice album. A few years ago I had to see a doctor for a medical issue & it seemed like every time I was there, they were playing TAPESTRY in the waiting room & I think I got a little tired of it. Speaking of C King/Motown, the Jean Terrell led Supremes did a nice remake of “It’s Too Late” which was never officially released. I think C King could have possibly put together a nice album for the JT Supremes. I feel like their TOUCH album was kind of their TAPESTRY. Anyway, take care my friend! Oh yes. I don’t know if “Tapestry” is overrated but it certainly is overplayed. Carole King’s first solo album “Writer: Carole King” and her ‘68 group effort: “The City: Now That Everything’s Been Said” is where the goods are. Great Goffin and King songs – sike pop stuff – real rockers — great arrangements. Worth checking out. Not heard Rod Stewart’s versions of “This Old Heart”. Don’t know if I want to, trusting your assessment. His covers are so lack luster. (Thinking: his version of CK’s “So Far Away”. Why? Nice talkin’ to ya – walkin’ with ya too – ooooOOOO! Your idea of Carole King writing for Motown is not that far fetched—-She had written for many soulful acts–Little Eva–The Cookies etc,….by 1966, their writing partners at Screen Gems/Kirshner were saddled with the task of writing Monkees album filler. It’s been said that King tried to work with the Pre-fabs but their studio antics drove her away. Even Motown’s own Popcorn Wylie sang a great Goffin-King song, as did The Drifters, Ben E. King, Ed Townshend, Aretha Franklin, and several other Soul artists. They could have written for Motown (given that “bubble gummers” Hemric and Styner did, as well as Leslie Gore and Franki Valli, and Ray Oddis did). They would have become one of Motown’s best writing teams. I always preferred the Isleys’ live version of “It’s Too Late,” which IMO annihilates King’s original – sub-Hendrix guitar and Ray Charles impression included. The brothers, of course, were going through a phase of covering white folk-rock singer songwriters, getting hits with “Love the One You’re With” (Stephen Stills) and “Lay Lady Lay” (sounding far less ludicrous than Dylan), and culminating in a brilliant “Summer Breeze” (Seals & Crofts). OH YEAH!!!! I love the Isley Bros’ remakes of white rock tunes – especially “Summer Breeze”. They take that song to places that Seals & Croft could only dream of. By the way, when people talk about great guitarists why doesn’t Ernie Isley’s name ever come up ??????? Great post Mike! This is one of those songs I listen to over and over, focusing on a different component each time. The sax (masterful). The back-up singing (sublime). The strings (joyful). It’s amazing to listen to the “without lead vocal” version – it lets you appreciate everything else (plus what the lead vocal adds!). I absolutely agree with your excellent review of “This Old Heart of Mine”….it happens to be my fave Motown song, and the Isley’s version is awesome, as is Tammi Terells and Contours. Motown is like a religious experience to me, I feel my heart swell with the music and lyrics, I thought I had every Motown record, but now joining your “Discover Motown”..I am hearing things I’ve never heard, and I love it. Some records were never released here in the USA, some records were regional releases. I was living in NYC when I discovered Motown, and it was finding 45’s in “cut out” bins, before they were played on radio. Motown had a great run for ten years, then Gordy moved it to Los Angeles, and very few records had that MOTOWN sound anymore. I really love your page on FB…and thank you for helping me discover more Motown…we will never have the likes of it ever again. So happy to have you back! Completely agree with your review of “This Old Heart Of Mine…”…and enjoyed the commentary about how you were sure it was a smash hit. I’m 27, and grew up with these songs on oldies radio here in the USA – so I was just as surprised as you to see this wasn’t the smash hit it sounds like 40 years later when I started looking at chart positions. Not an uncommon thing with many oldies, but somewhat shocking with this song. Welcome back, you have been missed! Excellent review of one of my favourites. It’s playing on my jukebox now! Welcome back! Great review of a great song that generated a hit record and a very famous lawsuit against Curtis Mayfield. Yes, if you listen to the Impressions recording of “Can’t Satisfy” you are hearing “This Old Heart”! If “This Old Heart of Mine” and “You’ve Been Cheating” had a baby (assuming songs could actually reproduce, of course), I imagine “Can’t Satisfy” would be the offspring of their union. The “You’ve Been Cheating” association is a bit of a stretch, I guess, but it is an Impressions song with similar subject matter. first , yes you were missed beyond words. glad u are back. on regards to the history of the song, not sure how accurate it is but this is what I remember of this song. the song was planned for the Four Tops. originally the Supremes had just finished a recording session in the snake pit and were now upstairs , the Four Tops were scheduled for the next session but were still out of town, not sure what happended but I recall a story of a broken down bus. the Supremes were called back down to fill in the gap as recording time is valuable. as it were, they recorded THIS OLD HEART and some other tracks that would end up on their A GO GO album. it was planned as a single but lost out to the Isleys version. as I hope someone might see it and shed some light on this mystery. single entitled “JUST FOR YOU” by an artist listed as ‘MISS MOTOWN’. and the DJ, 3.greetings and nonsense. It also has listed under the copyright Motown record Corp ‘A VERY SPECIAL THANKS TO JACK GIBSON’. The label looks genuine for a Motown demo from 1964 and the size and font of the text looks right, but is this a genuine Motown single? I can’t find anything else about this single on the internet. signed to Motown at the time the recording was made. I don’t know why the Greetings track wasn’t included on the CMS for 1964 but it does appear on the Cellarful Of Motown Volume 2 CD. “Greetings to the Tamla Motown Appreciation Society” was probably excluded from TCMS because it was for the UK. None of the UK only singles such as “Why Did You Leave Me Darling” were included. Yep – it’s only my oddball editorial policy which includes the UK seven inches on this site, the box sets have an exclusively American focus. I’ve just been incredibly busy with work and family after moving house – the next 20 or 30 are all but finished, I just need some time to sit down and finish them off. It’s good to know that there’s nothing wrong or that you haven’t got writer’s block. I don’t know if it is true that just because all contributors were contracted to Motown at the time that Motown owns the rights to release it now. Doesn’t it depend upon who paid for the recording and pressing. Yes, if it was pressed on a Motown-owned label at the time, it is just about conclusive that Motown should own the rights now. But, not absolutely automatic. The Velvelettes’ IPG released cuts, “That’s The Reason Why”/”There He Goes” were not eligible to be re-released by Motown (but I guess that is because The Velvelettes were not as yet sign to artist contracts, despite the cuts being recorded by Motown staff at Motown’s studios. Wade Jones’ 2 cuts on RayBer Records were produced, recorded and pressed up and paid for by Motown ownership and staff, and yet deemed not owned by Motown in 2013. Cornell Blakely’s last Rich Record was produced, written, arranged played, recorded completely by Motown staff, but the production was only half-owned by Motown (and half by an outsider (Rev. James Hendrix)(so its rights for re-release were determined not to lie with Motown. Of course Blakely’s contract was only half-owned by Motown. Great song I also like the hit version by Ronald Isley and Rod Stewart the Isleys to Me were always one of the tougher rougher breed of Motown Acrts I am looking forward to the next review although I greatly understand life gets in the way. Arggh! It ended! Hopefully this isn’t going to be another Game of Thrones situation … please continue! Hello Motown Friends, I wasn’t sure where to post this. Could you dear friends please keep me in your prayers? A recent Cat Scan has shown a small bladder tumor which is cancer. I will have minor surgery to remove tumor in 2 weeks & then doc will decide upon further treatment. Also, I may have some other “trouble spots” from last 2 cancers which will get further attention in early December. Mr. Nixon has received some recent email updates from me re. my health status. You dear friends mean much to me. God is in control! Blessings to all! Best of luck, Landini, that ALL the cancer will be taken out and controlled again, and you will soon come back to full health. We will all be praying for you. Dear Landini, please know that many, many of us are pulling for you. Many thanks dear Mary ! Dear Landini, very best wishes and hopes for a quick and full recovery! Remember the healing power of Vitamin Motown – and of course strong positive vibes from the whole Motown Junkies community! Hang in there Landini – and thanks for all your insights – keep ’em coming! Prayers and strong good wishes to you Landini. This group needs you. Thanks to all for your kindness ! Best wishes and hope to you Landini, I am experiencing the same since April of this year, already had a kidney removed and am in a trail at Sarah Cannon Research Institute in Nashville, rare form so they are using immunotherapy. I am hoping you are going to do well and live a long and happy life! Good luck and best of health to both of you. Wow ! I just saw this. Rob Green, you are in my prayers. And thank you Robb Klein for you best wishes! Latest on me … I do have to start chemo on January 8th for cancer which has recurred around my lung & abdomen. Kind of new it was coming but of course I had to get my news on Christmas Eve of all days! Oh well. Mr. Nixon is on my email list to get my updates. A blessed 2016 to all of my Motown friends! Peace! Oops… I meant to add that the bladder surgery went well. Hopefully that chapter is over at least! Thanks for everyone’s prayers! Visited eBay yesterday and treated myself to nice looking copies of both Gordy 901 and Twentieth Century Fox album 3171. Those of course are The Contours Do You Love Me and Mary Wells’ first post-Motown material. Theirs has high-ranking Junkies entries “Whole Lotta Woman,” “It Must Be Love,” and the immortal title, a number ‘6’ “The Stretch,” the mediocre ‘3’s’ “Shake Sherry” and “You Better Get In Line,” and the outright ‘1’ bomb of “Funny,” I look forward to hearing how bad it is. Her album contains the majority of decent enough singles, but ones that didn’t maintain her Motown primacy. But, oh that cover! Second only in iconic worth to her My Guy glance, Mary in stunning red and white, striking a most Hollywood pose, a vaguely surprised expression and a dramatic right hand pressed to her thigh. At least one idea for her at Twentieth that I think even Berry would have approved. Bill, when are you coming back? Looking forward to your comeback; this is a great website for fans of Classic Motown. You’ve been in my thoughts and prayers. I constantly check to see if you’re back. Take care of yourself. It’s good to know that the wait is almost over. You show Sylvia Moy as co- writer, but she’s not shown on the record? On BMI.Com Sylvia Moy is listed as one of the songwriters, along with HDH. Apparently, Moy was one of the writers, but was left off the 45 in error. I am not with my LPs to check if she was listed as a writer there. Thanks, Robb. I noticed on some other records that the credited writers do not always coincide with what actually appears on the record. Can’t think of any examples off hand, but I wonder if it’s an after thought, writers having perhaps contributed but not acknowledged at the time, and maybe having to fight for royalties after the record has been issued? You are absolutely correct! Often, it’s just a printing error, and they correct it on a 2nd pressing or on the LP. Sometimes they catch the error only many years later, when the union is fighting to get their old and poverty-stricken writers their due royalties. It appears Motown quite often got their writing credits mixed up. Four songs that immediately spring to mind are ‘I Want My Baby Back’ credited to (Fuqua) presumably Harvey Fuqua on Stevie Wonder’s Uptight album, but to )Whitfield-Grant-Kendricks) on Edwin Starr’s later single version. ‘Time’ by Edwin Starr credited to (Charles Brucato) on the original UK 45 issue, but to (Edwin Starr and Richard Wylie) on other releases. ‘Don’t Stop Loving Me’ By David Ruffin, Credited to (Stevenson-Hunter) on the original US single, but to (Duke Browner) on later issues. The strangest of all ‘Greetings This Is Uncle Sam’ credited to (P. Bennett) on the original Valadiers 45, credited to (Brianbert-The Valadiers-Dunbar) on the Monitors 45, and to (Cecchino, Costenzo) on the Isley Brothers version released on a Music For Pleasure UK album in 1974. Who on earth actually did write ‘Greetings’? There are plenty of other composing credit anomalies on Motown lables I’ve just scratched the surface. No one seems to know who “P. Bennett was. I believe Stuart Avig and Marty Coleman when they said that The Valadiers brought the song to Motown. Robert Bateman and Ron Dunbar may have help “polish” the song, so I believe THAT bunch wrote it., especially because two different people, who were at Motown in 1961 said that, and one of those wasn’t one of the writers. And, I heard that they (other than Dunbar) were the writers, way back in the early ’60s. T knew that Ron Dunbar hung out some at Motown (as did so many young singers and songwriters). But, I don’t remember seeing any credits for him until recently reading that he was a co-writer on “Greetings”. I think he was a friend of Richard Street back then. He ended up working a lot more with Gordy’s rival, Mike Hanks’ D-Town (as Ronnie Love). …and of course he went on to be credited along with the fictitious[?] Edith Wayne for writing many of the hits for HDH’s Invictus and Hot Wax labels. It seems, according to Brian Holland, that Ron Dunbar took part in the writing of EVERY Gold Forever (Invictus/Hot Wax) song actually credited to him, and only “Edith Wayne” was the fictitious “place holder” for HDH, and, he also was credited as sole writer for several songs (where Wayne’s name wasn’t listed). Other people also stated that Dunbar was HDH’s right-hand man in the studio, and was involved in almost every project, in some way. You are back! Finally, a bit of good news. And with a monster Motown masterpiece. Funny… a few days ago I was listening to the Isley’s cover of “Who Could Ever Doubt My Love.” If my ears are holding up, it is the exact backing track from The Supremes’ version. I very much missed your posts, and I’m extremely please to see you again. Hello Motown Friends, I haven’t been on the site for awhile. Quick update on my health. Still have cancer but the doc gave me break on chemo for 2 months & Cat Scan showed cancer is NOT worse (even w/out 2 months of treatment). I go back in 6 weeks (w/out treatment) to get another Cat Scan to see what is going on & then decide on next step in treatment. Sure appreciate everyone’s support. God bless all! Hello Motown Fans, I haven’t been on the site for awhile. Still dealing with cancer but am doing pretty well. Doc gave me 2 months off from chemo & recent Scan showed cancer had NOT gotten worse during that time. Will go another 6 weeks w/out treatment & then get another scan to see what is going on. Doc will then decide on treatment from there. Hope & pray everyone is well. God bless! I don’t know if you saw my previous comment because I did not post it as a direct reply to you, so I will repeat myself : From one cancer survivor to a future one, I wish you a speedy and complete recovery. Thank you for your kind words my friend. I pray that you remain cancer free! Nice to hear that you have stabilised, and are off chemo for awhile. Good luck! No news here. Stephane is still too busy to upload more reviews, but answers a few comments, here and there. I still have not commented on some songs, so I continue to add comments periodically. I’m busy with my artwork, and also still providing consulting with Ace and Kent on periodic projects. And, I might put in a plug, that they have a LOT of very nice new CDs coming out in the near future with amazing collections in several different genres of music. Thank you my friend. I wish you all the best in your endeavors ! I am keeping you in my prayers. Good luck. Hi everyone, I saw some people were posting so I thought I should finally wade in. I’ve been following this blog for about a year but never had the time to comment (also had to figure out wordpress since I have almost no experience with blogs). I love Motown and I love this blog! I started reading reviews of my favorite songs, then branched out to other highly rated songs, till now I just click “Lucky Dip” and see what I get! It’s so wonderful to hear people analyze Motown songs like the great works of songwriting, singing, production and musicianship that they are. It’s fascinating to read all the stories and further listening recommendations in the comments too (I especially like the impassioned Supremes debates, so much more fun than the pointless Diana-vs-Flo fights all over Youtube). I’m actually working on my list of 50 personal 10s now. Hopefully I will be posting more soon. Sad to read of the passing of Robert Bateman. A true pioneer and one if the great human building blocks in what became the foremost entity in the history of R&B music. I realise that this is that latest song review. But, wouldn’t this be better placed on a page with a Robert Bateman song or Brianbert production? Dear Motown Friends – Just wanted to reassure you all that I am still around. I still have some cancer but it has remained stable for that past few months & the Doctors at NIH are waiting to see if it becomes active again. Am feeling okay – sometimes a bit tired but grateful to be alive. Something sort of Motown related — Have any of you heard Elvis Costello’s GET HAPPY album from the early 80s? It has been called his “soul/Motown album”. I am listening to it now & yes I can hear some Motown/Stax influence. It isn’t an out & out imitation but there are subtle influences. You might want to check it out on YOUTUBE. Would be interested in what folks think. Hope everyone is having a good autumn. God bless you all! Hi Landini, Glad to hear you’re stable again. Good luck. I look forward to your comments on new entries when Stephane gets up and rolling again. I hope I’ll still be in my 70s when that happens. That’s one of my favorite Elvis Costello albums. You’re right about it being his ‘Motown/Stax’ album. He absolutely he nailed ’65 Motown on “High Fidelity.” Hope everyone else is doing well. I can’t wait to hear everyone’s thoughts on the B-side coming up. I sure miss the activity here! an almost depressing feel to it, yet I find it quite beautiful. I find it impossible to choose between the two which I prefer. things come to end end sooner or later! Would rather rock ‘n’ roll. There’ll be new entries. Just been laid up with pneumonia. Sorry to hear that. I hope you’ll be back to normal soon. I know that you will return. No one can write so concisely, enlighteningly (yes, I know that’s not a word) and passionately about this topic and abandon it. Yes family, work and illness are the priorities but once everything is resolved I know you’ll be back. And I’m a patient man. Get well soon. Looking forward to seeing your writing again. I wish you a speedy recovery. Unfortunately pneumonia often doesn’t have any warning signs. Anyone who hasn’t been vaccinated against it should consider doing so. Mmm, unfortunately this was brought on by a simple chest infection and exhaustion, as the last straw in what the doctor grouped as “complications from diabetes”. (Don’t think I’ve ever mentioned being a diabetic on here before, so, um, there’s that.) Well, at least I no longer need wonder what it’d be like to spend two months in bed, eh? Thanks to everyone for all your kind wishes – I’m doing much better now, but running a bit behind, and obviously my original plan for a big return a few months ago fell by the wayside! Here’s to an even bigger return! Trying frantically to think of a suitable musical response, failed miserably but I’ll think of something! In the meantime, how about “Sick Y’All” by dear Otis, and “I hope you’re feeling better” by Santana? Also, “Merry Xmas Baby”, again by Otis, to everyone on here- sorry, don’t know how to do the clever link thing! @ Nixon: Take your time! I’m still wading through all your past radio shows (and making some great finds in the process). I’m still choosing my top 50, and haven’t yet shared my thoughts on many of the songs you’ve already posted about. Dear Steve, very sorry to hear that you’ve been ill… and of course am wishing you a powerful, speedy, thorough recovery. Of course I’ve been missing Motown Junkies, as have so many, and I feared it was gone for good – while remaining grateful for all the inspiration and stimulation you’ve provided through the years. All best wishes for a splendid and healthy New Year to you and your family, and to the evergrowing Motown Junkies community! Best wishes for a quick and full recovery. We miss your writing, but of course your first priority should be to take care of yourself and recover at your own pace. It’s been so long, I’ve had a pc meltdown in July, forced since to Windows 10 (yuck), and had to hunt my WordPress log in, that was luckily written down. We all miss you Steve, wish mightily for your recovery, and I look forward to the restart of this terrific site. If ever a website was tailored to my own heart, this is it, and while I’m kickin’, I’m with you. Motown Unreleased 1966 [80 tracks] is now available to download in the UK. The alternative version of my favourite Motown Isleys’ track “Got TO Have You Backl” is outstanding. What do you think will come first? Or the USA leaves Planet Earth. The U.S.A. left Planet Earth the day Trump was elected President. That wss pretty much my point. They’re in “The Twilight Zone” now ” (as The Astors once sang). TECH NOTE: The link to the B-side above is broken. First broken link I’ve encountered in working my way through 1964, ’65 and now, ’66. Love the layout of the site and the look too. It’s not broken, I just haven’t written the next entry yet…! Everyone has been waiting for me to get my stuff together for quite a long time now… Watch this space. I feel like a heel! I’ve been nitpicking your scores on some of my favorite Motown numbers, and then I came to a dead halt at the start of 1966, the blog stopped — and now I find you have had pneumonia! I am so sorry, President Nixon. And now my true confession: I have suddenly realized — I’ve become a Motown Junkies Junkie! (Better than a narcotics junkie, which I was until recently!!!) I thought I was years behind the blog, but now I’ve caught up. I guess I’d better go back to the start to see what I missed because I’m jonesing for a hit!!! Please get better. Nixon’s the One! Here’s hoping you are well enough soon, and have the willingness to do it, to continue with the 1966 blog. it’s a treasure! It’s been great reading your history of the Isley Bros, so I’ve now got some other of their 1996 Motown releases from iTunes: There’s No Love Left; Take Some Time Out; Who Could Ever Have Thought; I Guess I’ll Always Love You and I Hear A Symphony. They’re all good, without reaching the same level as This Old Heart. There’s lots of other good stuff too, from 1966. What a year. Just stopping in to to say hello. 🙂 Since age 9, no year goes by without me spending on Motown, 2017 is no exception. While I breathe, no year will be. But for a mere five bucks – in my case anyway – it includes the majestic ‘pink album’ jewel “This Night Was Made For Love.” For sure, the car radio needs that too. Round about the same time as “This Old Heart of Mine (Is Weak for You), Kim Weston completed the unreleased HDH song, “I Got A Weak Heart”. I suppose the question ought to be asked about whether the negative effects of a love affair should be referenced however obliquely to what is a serious medical condition. I know, I know 😦 I’ve had a lot of different things happening, and haven’t been able to sit down and write for a long time. But the plan is still to continue!